For 2018, I choose EXPERIMENT ! Why ? To stop hearing that voice (or at least not caring anymore about it), to stop fearing it and the possible judgement of people, I decided to dive in deep : to learn, you have to do it, work it, try it… And that’s what I’m going to do ! We will see what will come out of it ! Some ideas might not work, some might stay hobbies for my holidays, but others might inspire me to go further, fulfill myself… Who knows ? There will be new knitting patterns this year. 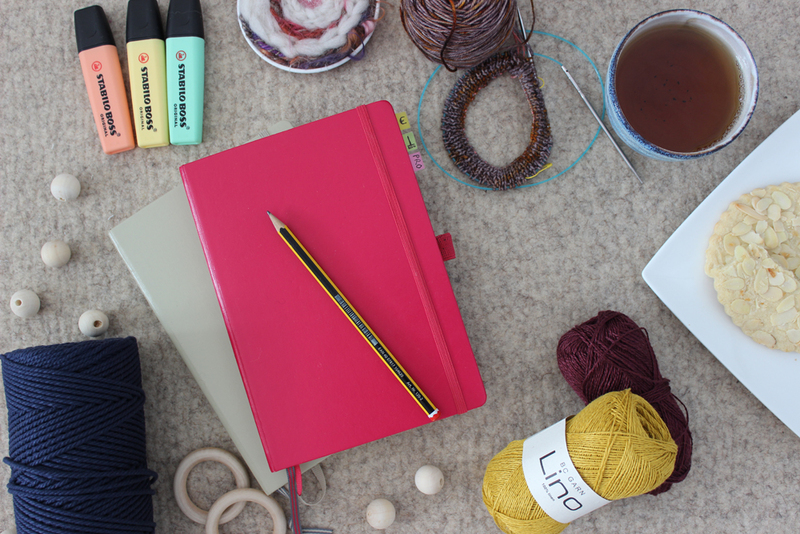 I have some ideas, scribbled in my notebooks and some might already have jumped on my needles… I hope you will like them ! But, keeping with the previous point, if I try new techniques and crafts, maybe some new products will appear in my shop ? I don’t know what I will be able to achieve this year, but I’m trying to keep in mind that I don’t have to limit myself, that I can try everything ! This is something really new for me. This year, I overcome my shyness and imposter syptom : I teach workshops !!! For now, I already begun to teach weaving and macrame to kids in a community youth club, for a really great project about yarn crafts, supported by the association Une Figue dans le Poirier. We will realise a collective work that we will present for the World wide knitting in public day !!! I will tell you more about it, I promise. On top of that, I taught a weaving workshop for adults n january, and I think I can say the people there liked it. As for myself, I sure really appreciated to exchange about a craft I really like ! I have another weaving workshop soon, for families, and I’m really looking forward to it ! If you go to one of them, don’t hesitate to come and say hi, I will be really pleased to discuss with you ! I have ideas, the most difficult parts will be to defeat my fear of the keyboard and to be able to put the words online ! I am not really using my Facebook page. I should change that, but I don’t know how… Should i use it jsut to share other contents (blog and instagram posts ? Should i sahre specific content ? On the other hand, Instagram is my most used social media, but I have mixed feelings… It is time consuming some days, and those algorythms, publicities and suggested accounts spoil the fun… Clearly, I want to continue to share with you on Instagram, but I also feel a need to change a few things. I will need to find a balance between everyday life and inspiring grid, and I know it will not be easy to achieve… Maybe the stories will help me a little ??? I am also thinking about other ways to share things with you : newsletter, podcast, videos… I am questionning myslef a lot about what I could provide you with, waht might inspire you, help you, make you excited, give you the push to try a new thing… I am reflecting a lot about it, and I don’t know exactly what I will do, but when I will know, I will tell you all about it ! What about you ? Do you have goals for 2018 ? Do you choose key word(s) ? Have you any suggestions about the content I could offer you ? What brings you here ?